DocuSign for Deals is currently in Beta. If you'd like to be a part of this Beta please constact support. You'll need to be on at least the 'Professional' plan on DocuSign. The first step is to ensure SalesSeek is connected to your DocuSign account. Go to App Settings > Integrations and click Connect. You'll then be prompted to enter your DocuSign details, and will then be returned to SalesSeek. You now need to ensure there is a compatible template in your DocuSign account for SalesSeek to use. 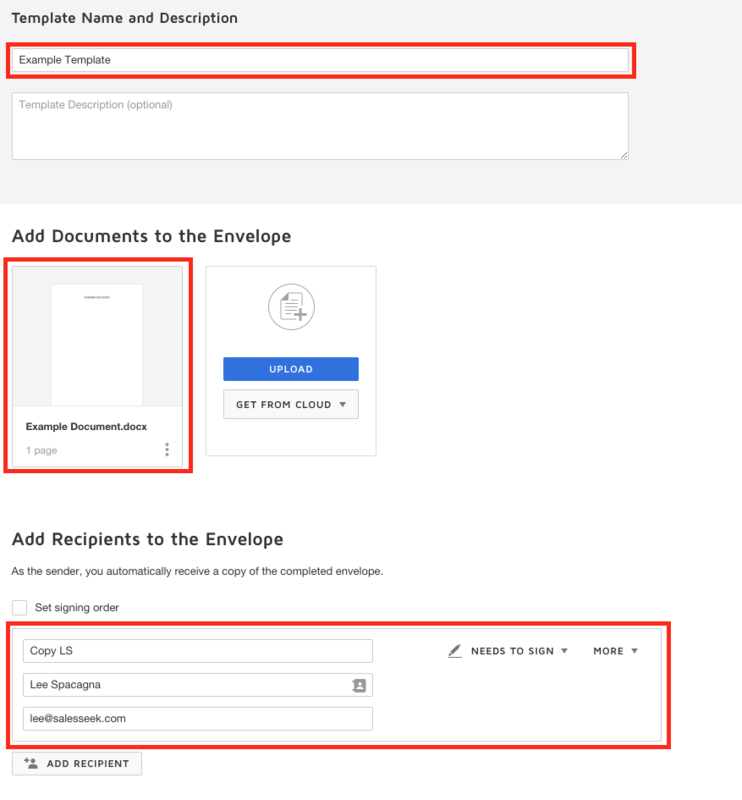 Login to Docusign, and then go to Templates. Click New > Create Template if you'd like to create a new template from scratch. If you'd like to use an existing template, click edit on your chosen template. 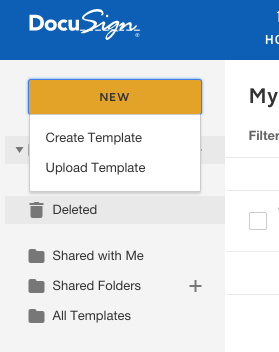 Next, give your template a name, upload the document, and set at least one Role. Click Next. You'll then be taken to the document view. This is where we can add the merge tags to allow SalesSeek to add information to your documents automatically from the Deal Record. Drag a Text field to your chosen place in the document. A menu on the right will now appear. Click Data Label. In the Data Label box, delete the default value. Enter a supported SaleSeek Merge Tag in this box. Then click Save and Close. This document will now be available to SalesSeek. Back in SalesSeek, browse to a deal you'd like to generate a document from. A Send to DocuSign button will now appear on the record. Click this button and a popup will appear for you to configure the document. Choose your document, role and individual to send the document to. 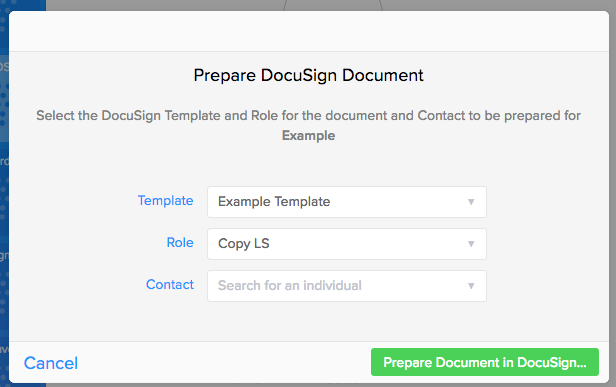 When ready, click Prepare Document in DocuSign. The document will then be generated with the configured fields completed. When you are ready, click Send.